School debt for people out of college or out of grad school is stepping in front of their ability to come up with money to buy a first home…. And promises to forgive those who take civil service jobs for forgiveness not followed thru…. 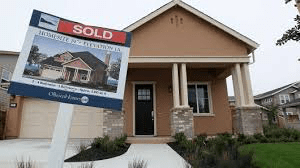 The above has to be effecting the economy which relies on strong housing sales…. Buying a house is a terrible investment. That said, a new paper from the Federal Reserve posits the reason young people are buying less than in generations past is not that they’re smarter and savvier, but that they are more indebted. Yes, but: The Fed argued that student loan debt was an important but not “central cause” of the reduction in home buying. Researchers largely put the onus on tighter bank lending standards.